Port Douglas Luxury Resorts | 5 Star Port Douglas Accommodation. The ideal way to spoil yourself in tropical North Queensland, Port Douglas luxury resorts offer world-class accommodation with superior service and unbeatable facilities. Offering plenty of space to relax and enjoy the view in privacy, the 5 star accommodation is the best way to enjoy your holiday in total comfort. Experience the good life and enjoy a level of service that means you don’t have to worry about a single thing. Enjoying being looked after for a change and indulge in extravagant onsite facilities such as private plunge pools, golf courses, day spas, fine dining restaurants, stylish bars and in-room spa baths. Ideally located just a short stroll from the marina, Cayman Villas Port Douglas features luxury resort villa accommodation with wide, spacious living areas and large tropical balconies. Superbly located on Mowbray Street, the deluxe accommodation is within a 5 minute walk of the shopping, dining and entertainment of the village. Offering spacious, self-catering 2 and 3 bedroom villas, Cayman promises a touch of luxury on your next Port Douglas holiday. 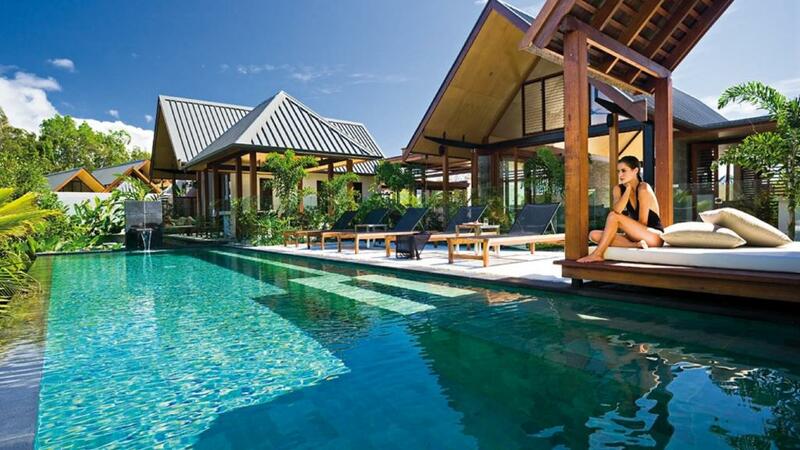 Niramaya Villas and Spa offers a new dimension in luxury resorts. The tranquil natural surroundings will take your breath away while the luxury Balinese-style villa accommodation boasts deluxe furnishings and private plunge pools. Set on 15 hectares of lush tropical gardens, the resort includes a gourmet restaurant and sensational day spa. Nestled between a sheltered inlet and the sea, these luxury apartments offer an intimate retreat in the heart of Port Douglas where contemporary style meets comfort. Saltwater Luxury Apartments Port Douglas has 5 star accommodation with fully ducted air-conditioning, a huge spa in every apartment, kitchens with prestige appliances, Cable TV, Swimming pool and sun deck with BBQ terrace. Situated on 10 acres along the stunning expanse of famous Four Mile Beach, Pullman Port Douglas Sea Temple Resort & Spa combines 5 star accommodation and first class service to provide the ultimate in privacy and relaxation. Offering spacious yet stylish studio and 1, 2 and 3 bedroom apartments, the resort boasts an excellent range of onsite facilities including an 18-hole golf course. 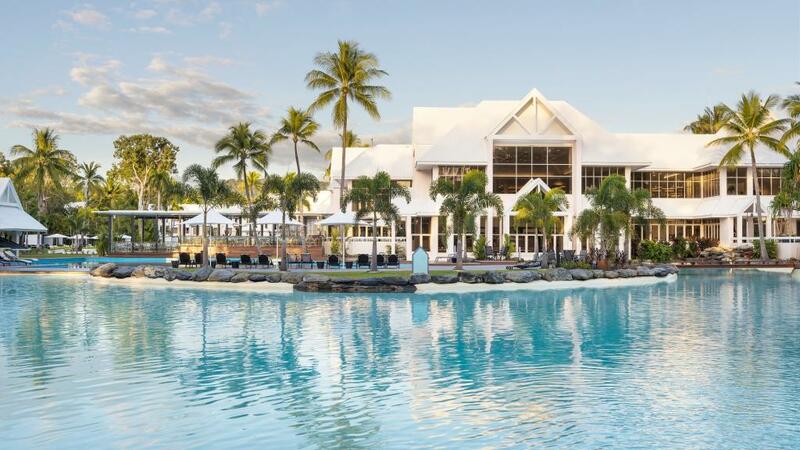 One of the only luxury resorts in Port Douglas to sit right on Four Mile Beach, the Sheraton Mirage is a 5 star resort offering international standard accommodation, well-appointed hotel rooms and luxury private villas. The luxury doesn’t end with the accommodation, with resort also enjoying a fine array of onsite leisure facilities including multiple lagoon pools, swanky bars, fine restaurants and an 18-hole championship golf course.